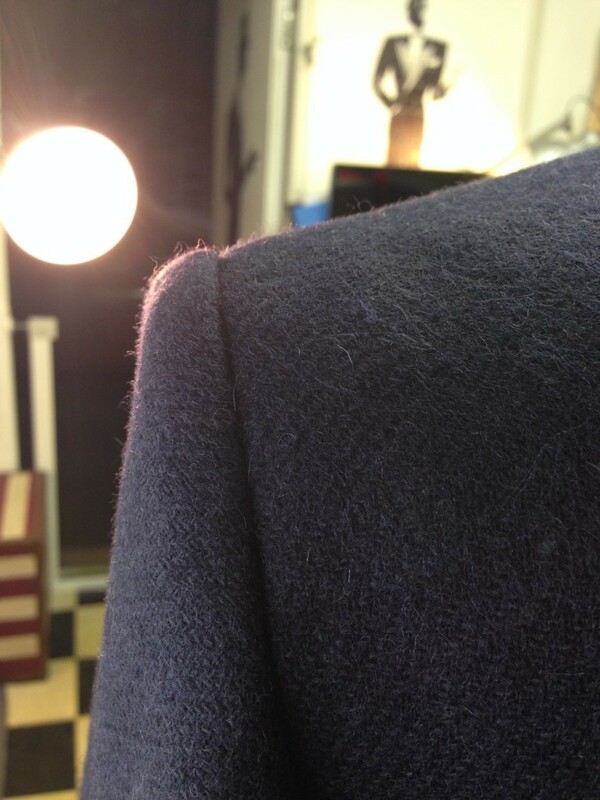 This week, the well-dressed man is sporting a bespoke men’s winter jacket cut slightly differently. 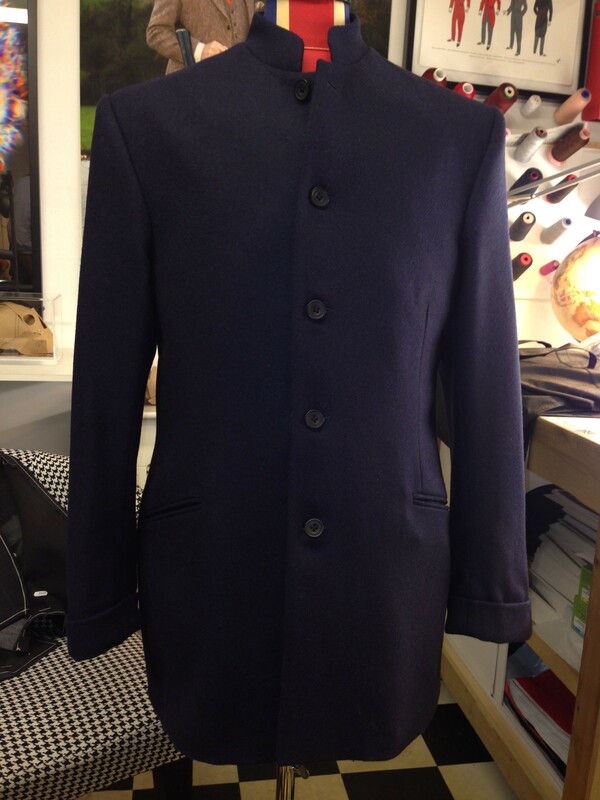 It is a Nehru-styled jacket, crafted from a seasonally appropriate slightly heavier weight navy wool. The jacket essentially blends the collar of the achkan, historically the royal court dress of Indian nobles, with the Western suit jacket. It was popularised by Jawaharlal Nehru, the first Prime Minister of India. The high collar does double duty – not just as a style feature, but a practical attribute to keep the chill out during the cooler months. The wider cut sleeve cuffs make layering over a shirt and even a jumper, a smooth affair. Have you got a different winter jacket idea that you would like to explore? 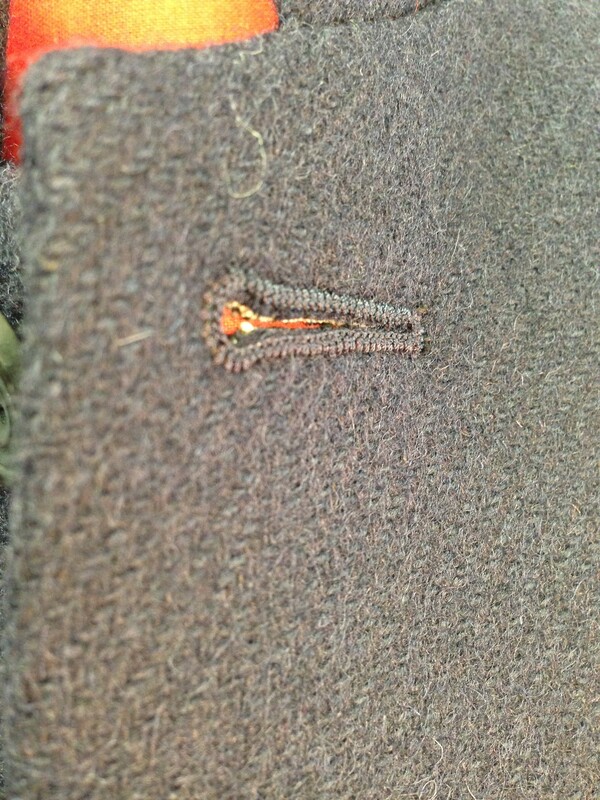 Our tailors would be delighted to discuss it with you. Simply book an appointment! 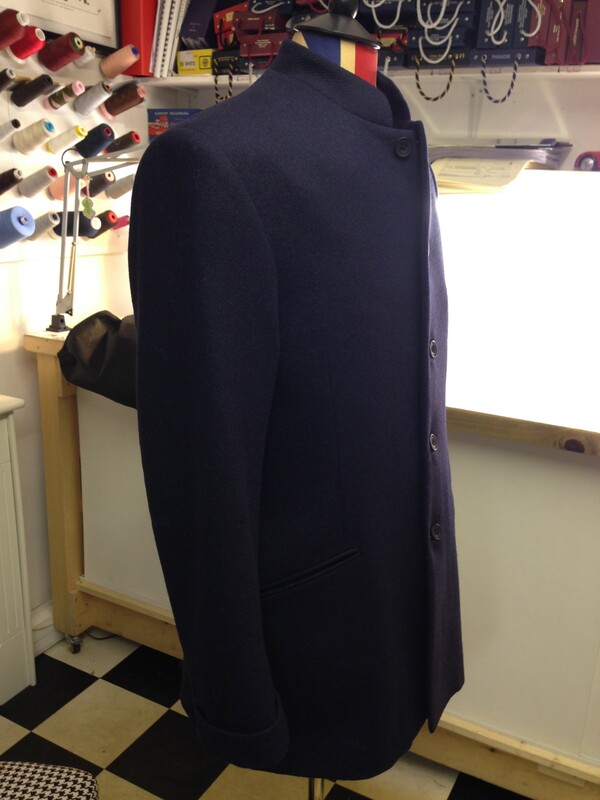 The Bespoke Men's Winter Jacket - Nehru style - Bespoke Suits By Savile Row Tailors. The well-dressed man is wearing a bespoke men's winter jacket cut in a Nehru-style, crafted from a seasonally appropriate heavier weight navy wool.